Twitter is built deeply into iOS 5, more than just photo sharing? 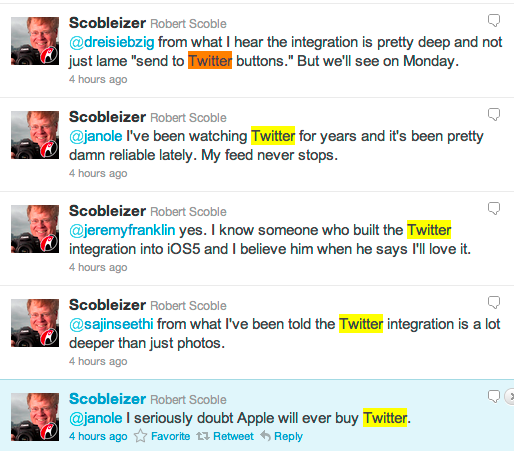 Robert Scoble says, that according to a source who worked on Twitter integration, iOS 5 will feature more than just Twitter photo sharing. He says that integration will be very deep. We can imagine a Twitter widget, Twitter notifications, and Twitter photo and video sharing. Any other possibilities?